Our resource team includes professionals with extensive experience in education, psychology, health promotion, personal & organizational development, coaching, leadership training, and community development & capacity-building. A consultant, educator and mentor in the field of human and social development, Tam has led innovative initiatives in diverse sectors and settings, including health, human services, education, and early childhood development, and has worked with multiple levels of government. She has developed and delivered numerous workshops and training intensives, and has written extensively on topics that include health promotion, capacity building, community engagement, and generative approaches to change. Tam has also taught university graduate courses in health promotion and education. Tam's work in self-regulation grew out of her long-time commitment to health and human development, and a deep dive into research showing the impact of self-regulation capacities on mental wellness, resilience and thriving. Her self-reg work is grounded in a strong conviction that integrative, strengths-building approaches help children and youth to develop self-reg skills that will be with them for life. Tam is the founder of the Take 5! Self-Reg Asset-Building approach and, in recent years, has introduced Take 5! to diverse professional groups, including educators, school counselors, child and youth workers, youth mental health professionals, and other health & human service providers. She holds a doctorate in Human and Social Development from the University of Victoria. Tam is based in Victoria, British Columbia. Barbara is a psychotherapist, coach and consultant who has designed and delivered professional development programs in the private and public sector. A skilled and seasoned practitioner, she has led diverse health and wellness initiatives, and has provided training to professionals in education systems, business schools and a variety of not-for-profit organizations. Barbara’s commitment to self-regulation grew from extensive studies in mental health and human development. And her long-time experience teaching mindfulness and other awareness tools has confirmed the value of self-reg asset-building as a tool to promote thriving. Self-reg skills are critical, she says, if young people are to navigate the challenges of life in the 21st century, and mature into caring, connected, and contributing adults. Barbara holds an M.A. in Counseling Psychology from the University of Northern Iowa. Some years later, to integrate spiritual development into her therapeutic work, she went back to grad school and completed an M.Div. and a Diploma in the Art of Spiritual Direction at San Francisco Theological Seminary. Barbara is also an Integral Master Coach certified by Integral Coaching Canada, and the co-founder of the Unique Self Emergence Process, a psychospiritual development process she teaches to helping professionals. Barbara is based in Fairfax, California. Carissa is a consultant, coach and community developer who is committed to promoting mental and emotional health and wellness in people of all ages. A valuable addition to the Take 5! team, Carissa brings extensive skills and experience in organizational development and community engagement, along with a strong background in human development. She also brings in-depth experience in community network coordination in the fields of health and wellness, and sustainability. Carissa has a rich communications background with experience in designing and facilitating workshops for diverse groups across multiple sectors, and has written in the areas of transformative education, sustainability, and public engagement related to mental health issues. Carissa has a Master’s degree in Integral Psychology from JFK University in California as well as a Master’s in Natural Resources Management from the University of Manitoba. Carissa’s original research included adult learning in a digital context. Carissa is based in Nanaimo, British Columbia. Peter Rojcewicz Peter is currently the Chief Academic Officer and Accreditation Liaison Officer at the University of the West. He brings twenty years administrative experience in higher education settings, as well as a strong commitment to a collaborative governance approach. In all contexts, Peter's work is informed by his passion for holistic education and healthy human development. Janet Keller Janet is Director of Certification at the Coaches Training Institute. Leading a rigorous 6-month coaching training program, she overseas curriculum design, faculty development, student experience and trends in coach training pedagogy. 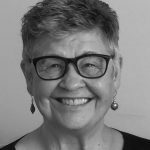 And, as a consultant, Janet has supported leaders and executive teams in business and the non-profit sector, with facilitation, planning, team building, mediation and board development initiatives. Dave Calhoun Dave is a senior associate with CORE Districts, a collaborative initiative of California-based school districts working together to innovate, implement, and scale new strategies for educational improvement and successful outcomes for all students. He brings years of expertise leading educational program assessment and improvement initiatives and, until 2017, served as the Executive Director of Research, Evaluation and Assessment for Fresno Unified School District. Dave also serves on the national SEL Assessment Work Group facilitated by CASEL - the Coalition for Academic, Social and Emotional Learning. Lorna Wuertz Lorna is a retired teacher/school administrator of San Rafael City Schools in San Rafael, CA where she developed and implemented the first local Beginning Teacher Support program. Upon retirement, Lorna graduated with a Diploma in the Art of Spiritual Direction at San Francisco Theological Seminary. She is a Spiritual Director at the Interfaith Counseling Center of the Bay Area, a Spiritual Care Volunteer at Kaiser Hospital in San Rafael, CA, and teaches spirituality and adult and children's education classes.